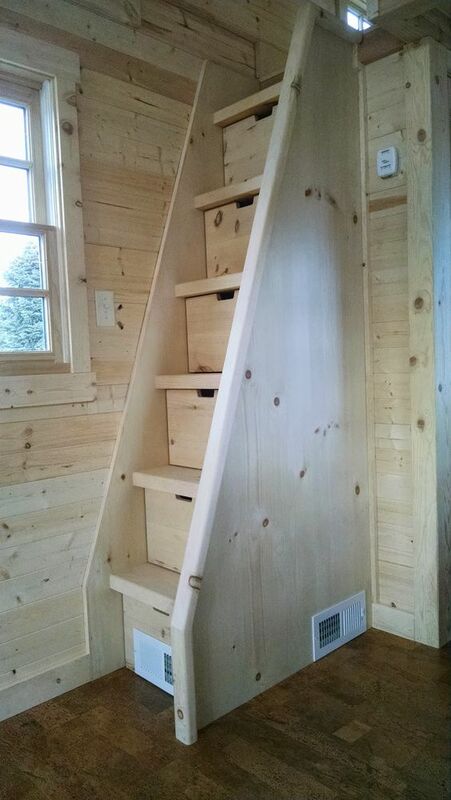 Wood or plywood is a great material for staircases, it makes any space cozier and comfier and you can easily construct such a staircase. 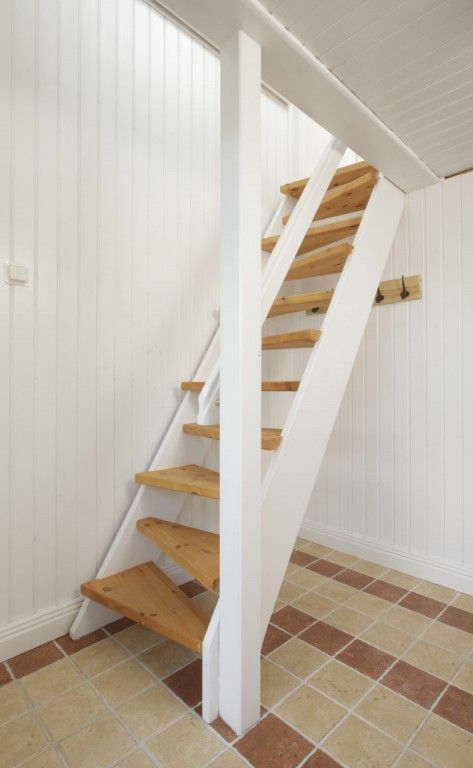 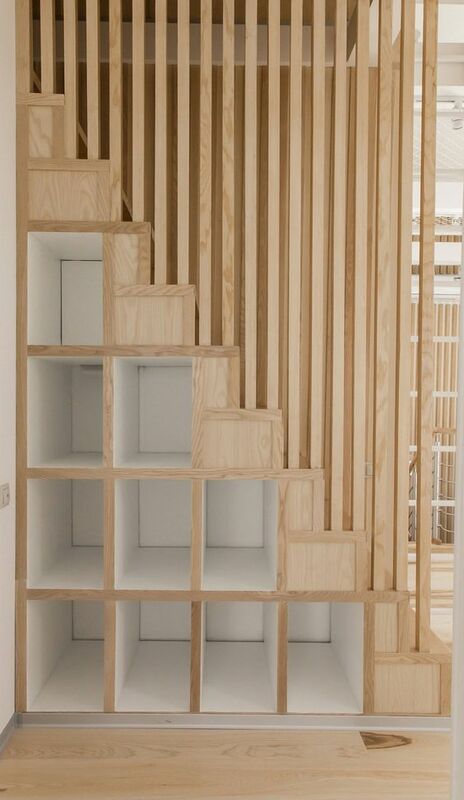 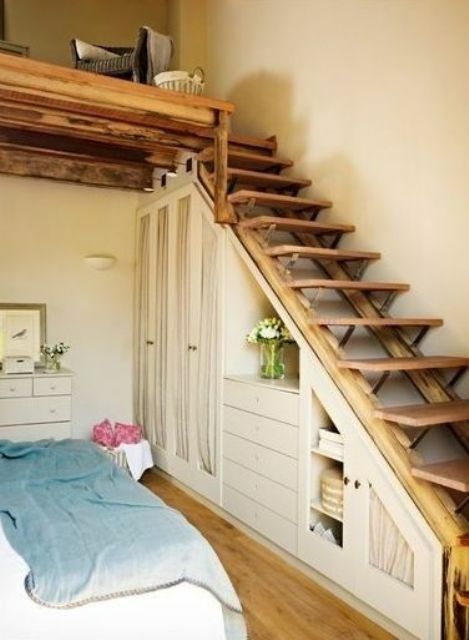 If you think that a wooden staircase will take a lot of space, you are wrong, you can make a super space-efficient and narrow stairs even with storage: with cubbies and drawers inserted into it. 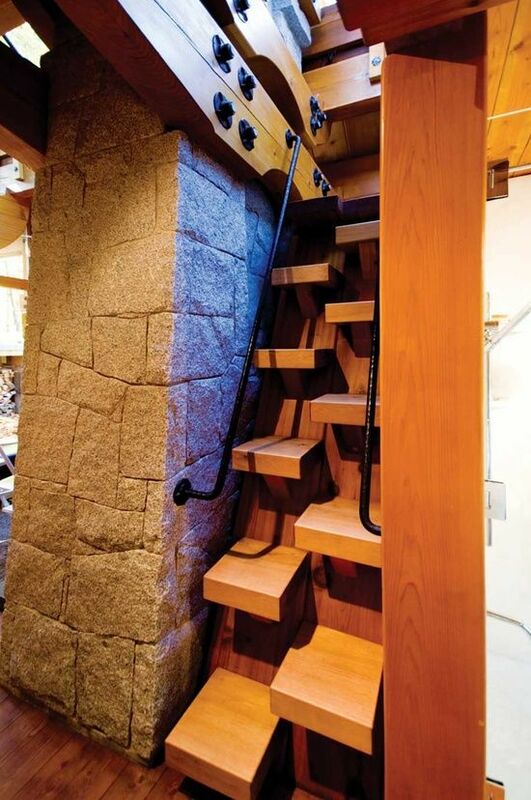 There are also modern options with triangular-shaped steps that look very original. 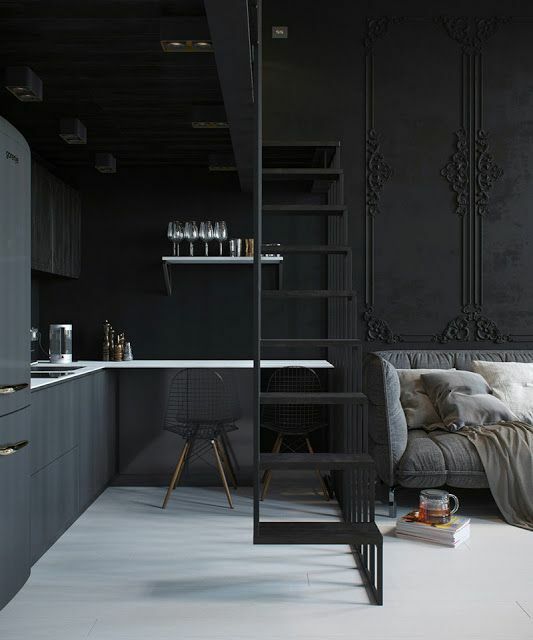 Metal ladders are even more space-saving than wooden ones, if you are very tight on space, you can just buy a metal ladder and hang it where you need. 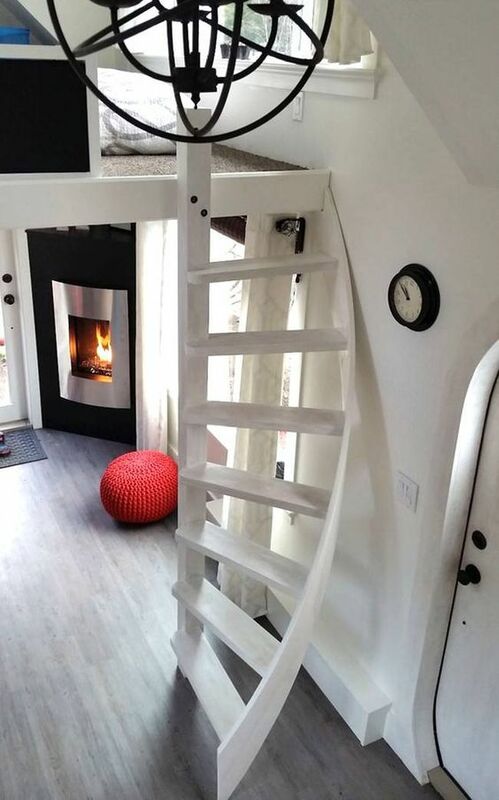 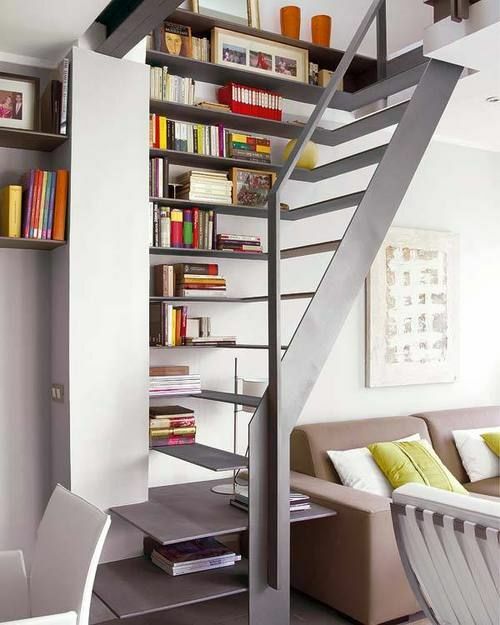 If not, there are more creative solutions that are suitable even for small spaces. 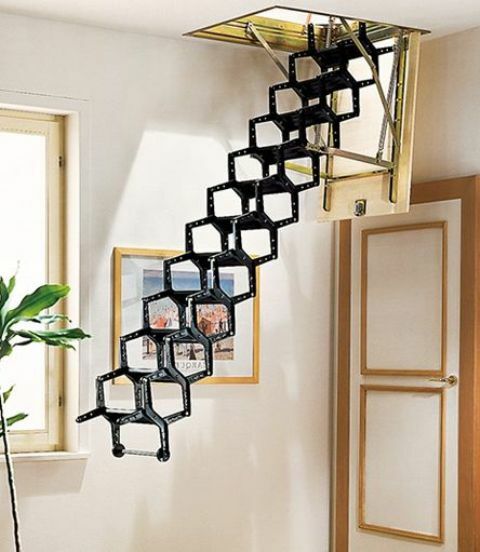 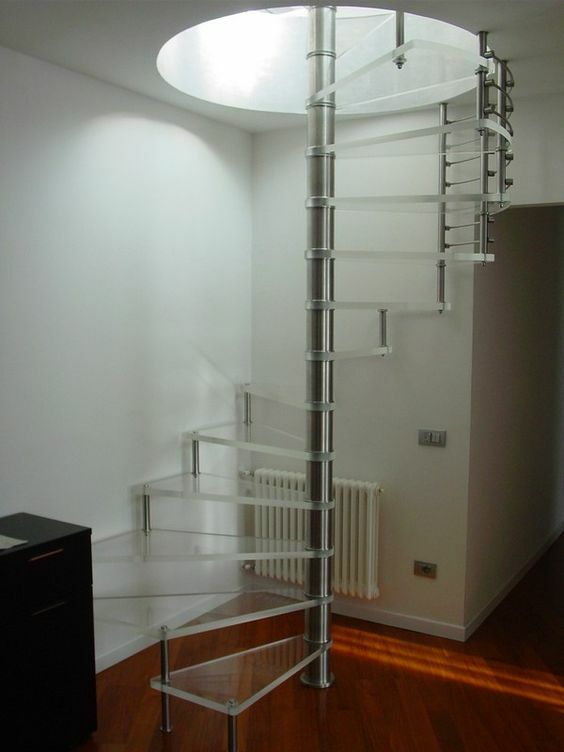 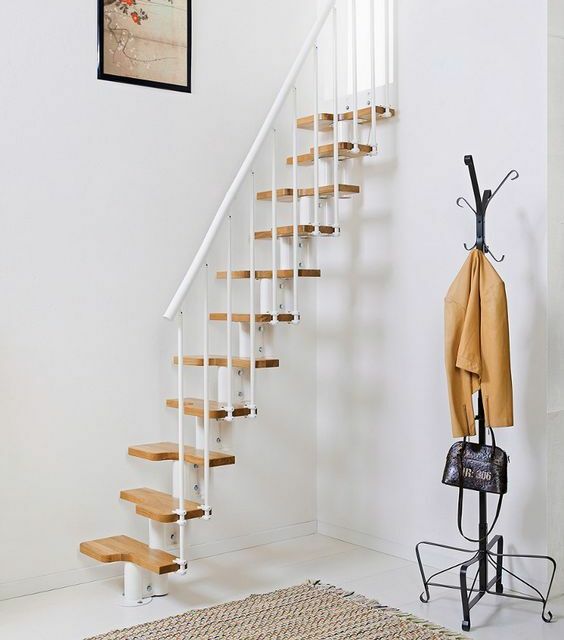 Spiral metal ladders are classics that can be placed even in the smallest corner; pull down steel ladders are a new trend: it’s a staircase that can be easily hidden when you don’t need it. 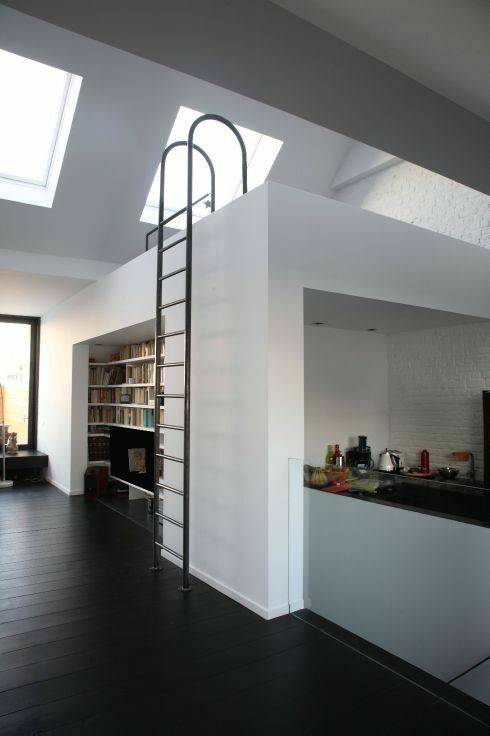 There are many industrial-inspired metal ladders, so if you need one, you will easily find it. 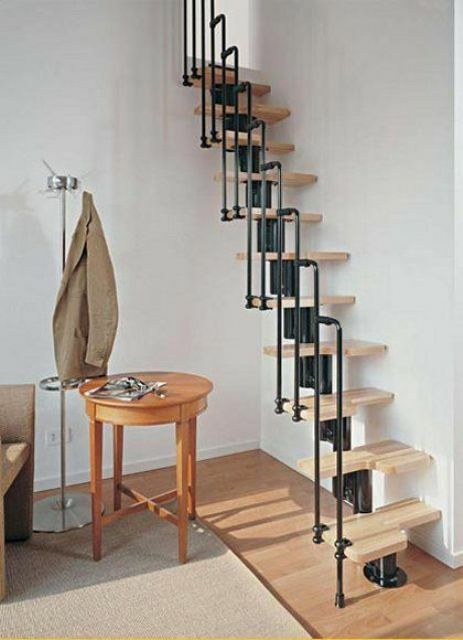 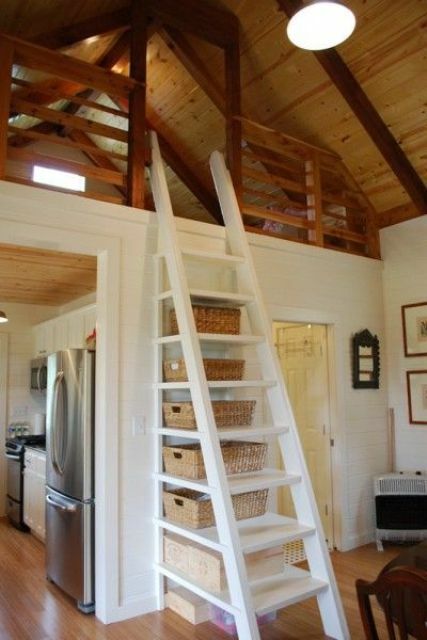 You can also design your metal ladder so that it had storage space and display. 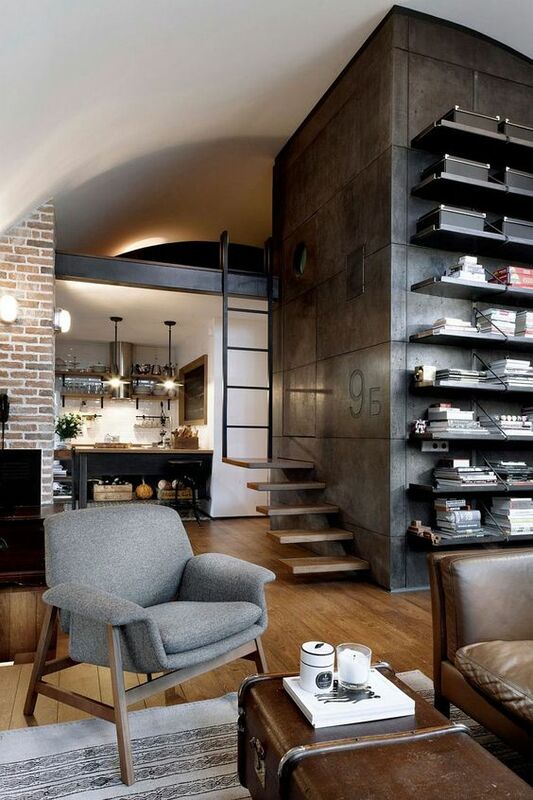 Need a mixed option? 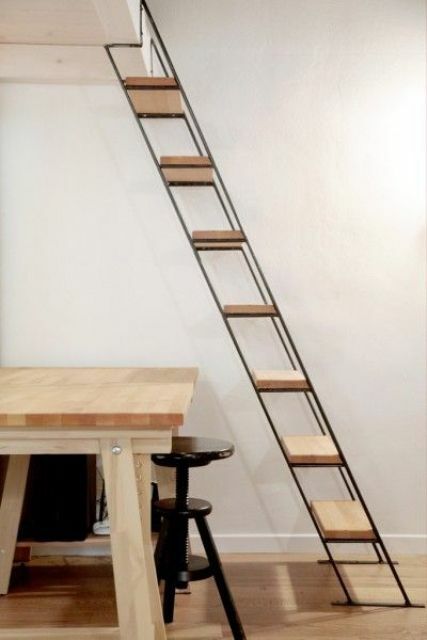 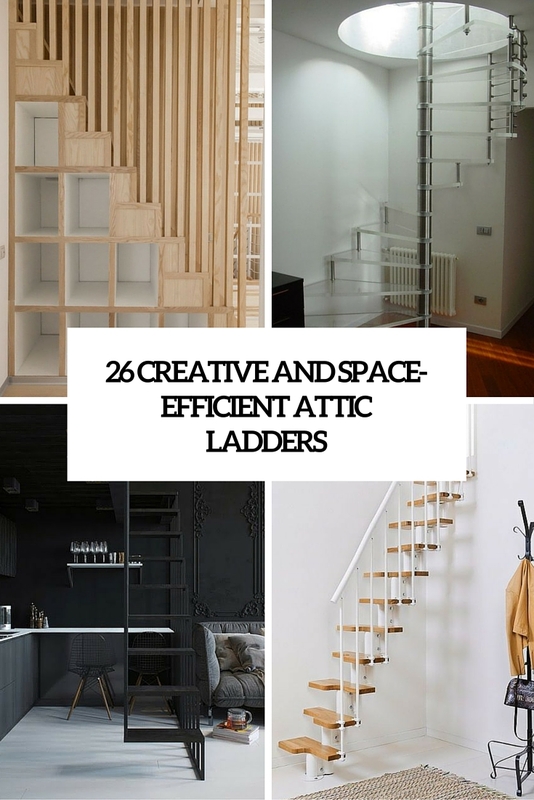 There are so many creative metal and wood ladders that rock! 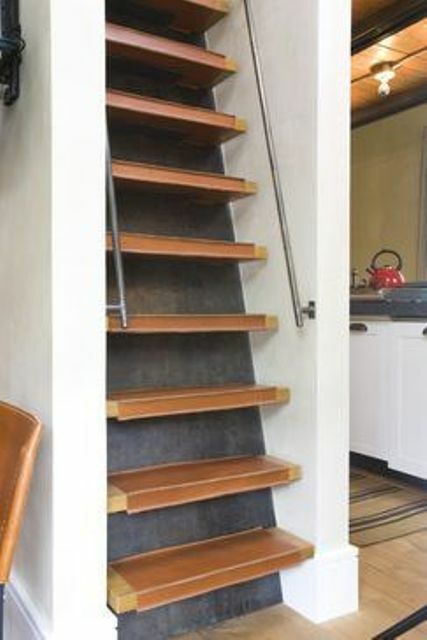 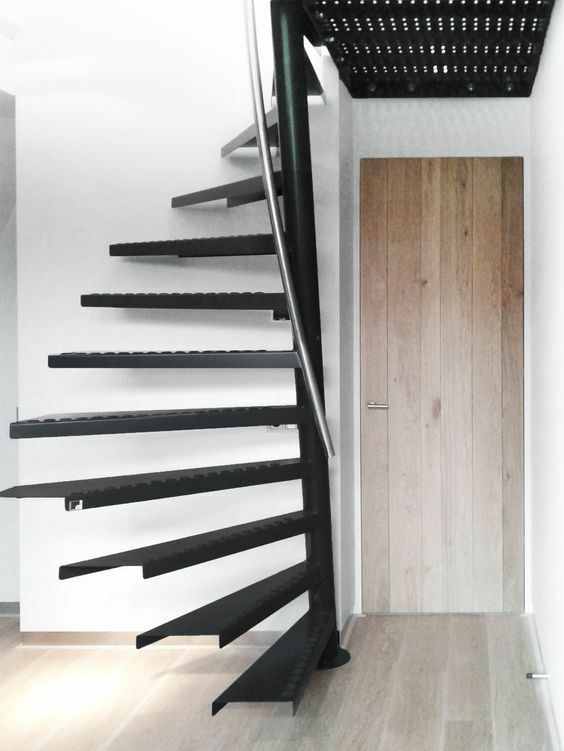 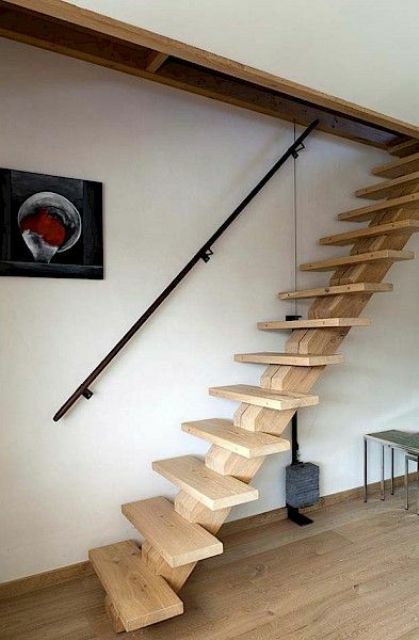 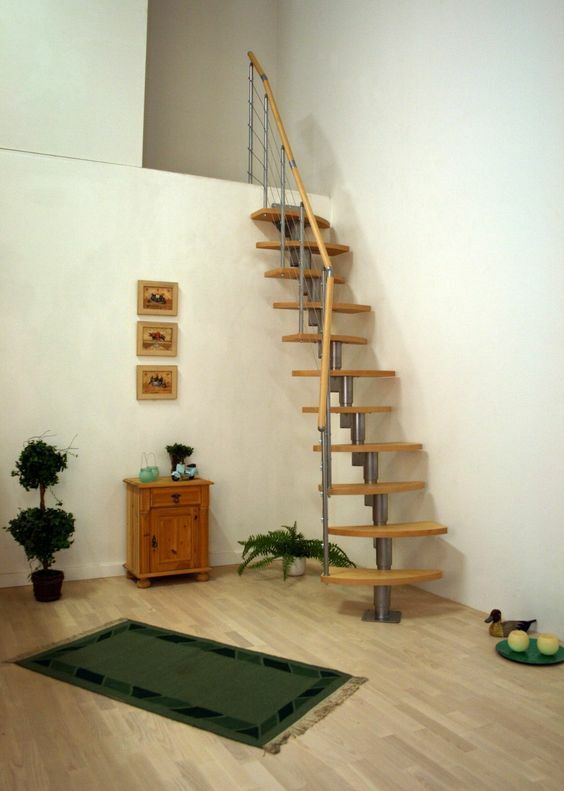 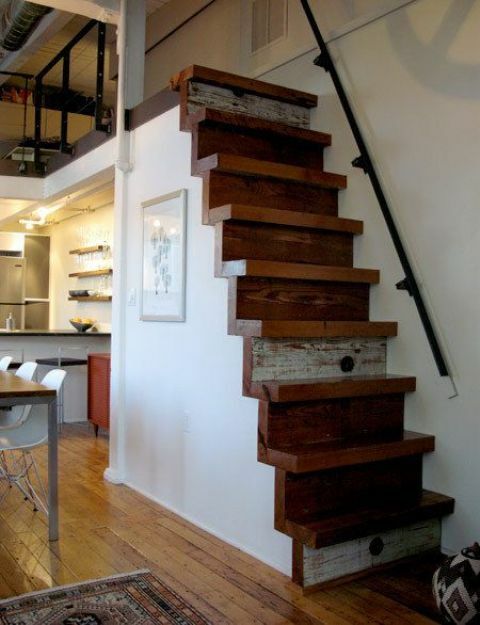 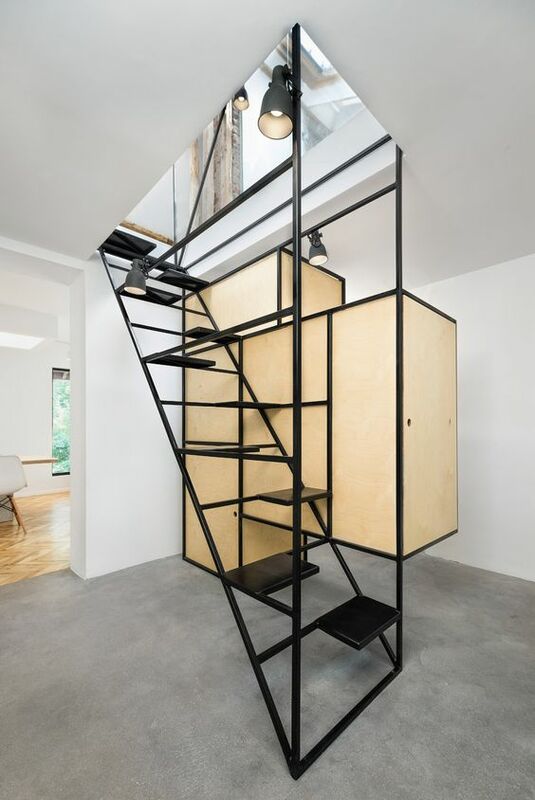 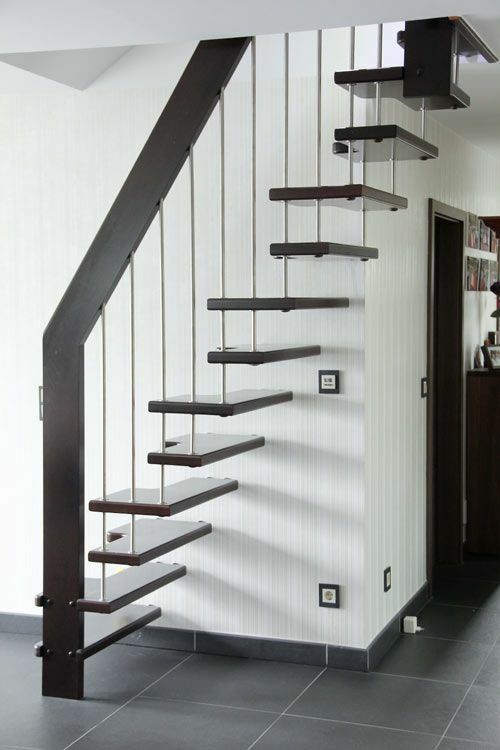 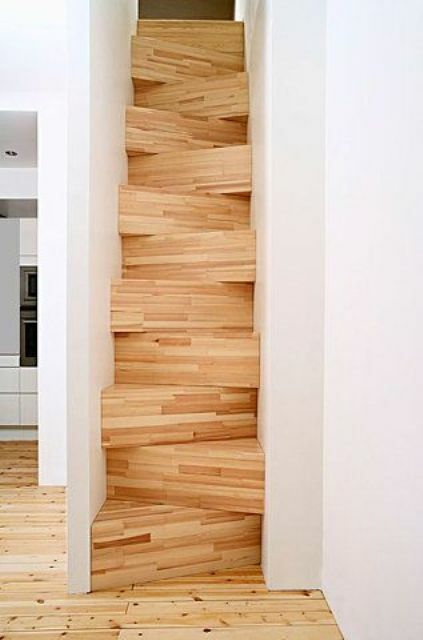 A metal frame with wooden steps can have almost any from and shape you can imagine and that matches your interior! 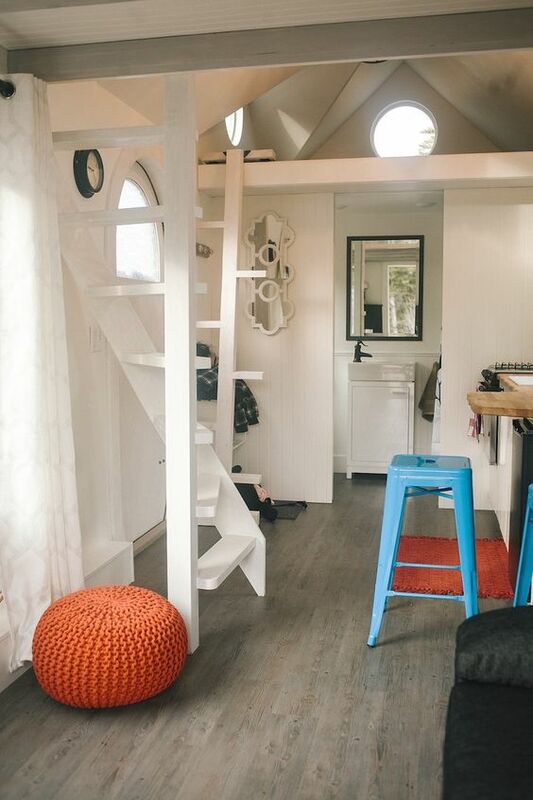 And again, it can be very compact and space-efficient, suitable for the narrowest spaces. 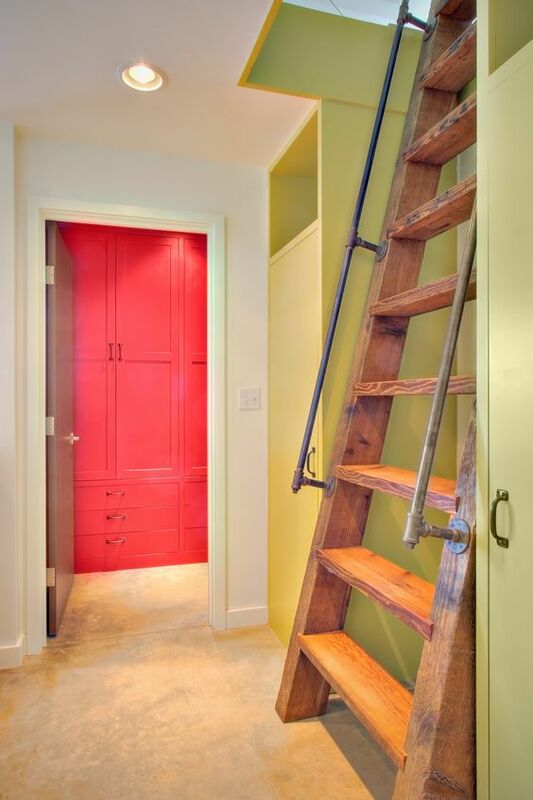 Stain and paint it the colors you want and enjoy!